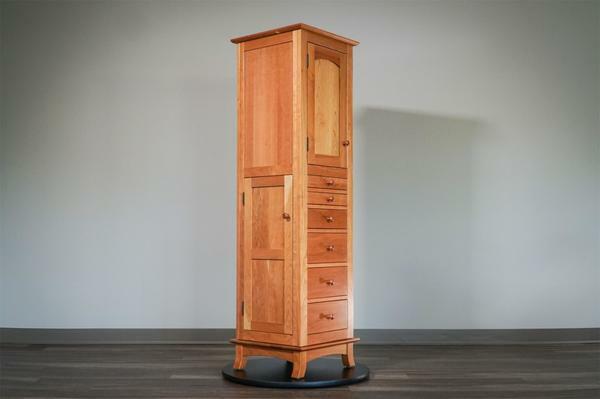 This amazing revolving Jewelry Armoire is Amish handcrafted from solid cherry wood. It is in stock in our Amish furniture store in Sarasota, Florida. Come on down to our store at your earliest convenience and be greeted by one of our friendly Amish furniture specialists who will be happy to assist you and help you out with any questions that you may have. We look forward to seeing you soon at DutchCrafters!